• Select the Wipe Lists item. • Select the required wipe list(s) and tap the Clean Now button. 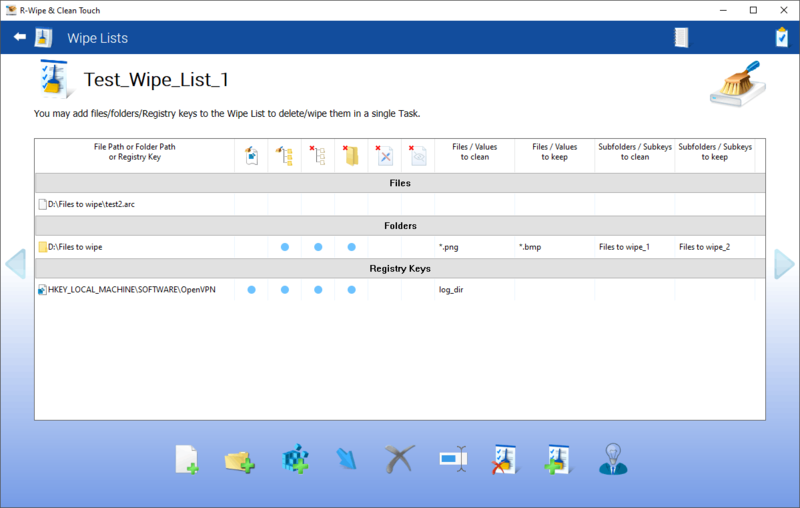 R-Wipe & Clean will start cleaning the contents of the wipe list(s). • Tap the Create New List button. A new wipe list will appear. • Select the required list(s) and tap the Remove List(s) button. 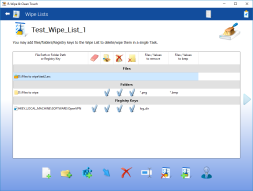 R-Wipe & Clean will remove the wipe list(s). • Double-tap the required Wipe List . • Tap the Rename List button on the wipe list management buttons and enter a new name..
• Double-tap the required wipe list. • R-Wipe & Clean will show the content. 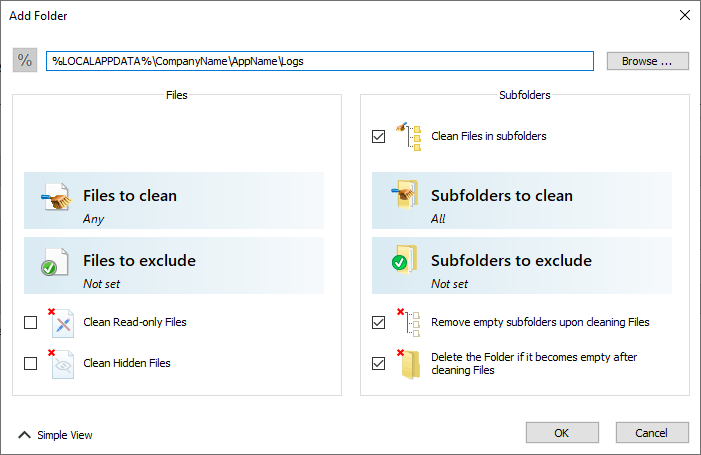 You may add a file or/and folder to the current wipe list directly from File Explorer. Long-tap the file and select the Add to the Wipe List item from the shortcut menu. Make sure that the Add files and folders to a wipe list from the shortcut menu option is enabled on the Integration tab of the Settings panel. 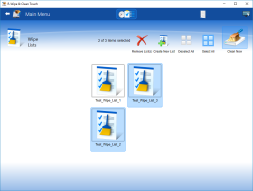 You may add/remove files and folders to/from the list using the file management buttons. When you add a folder to the wipe list, the Add folder... dialog box will appear. 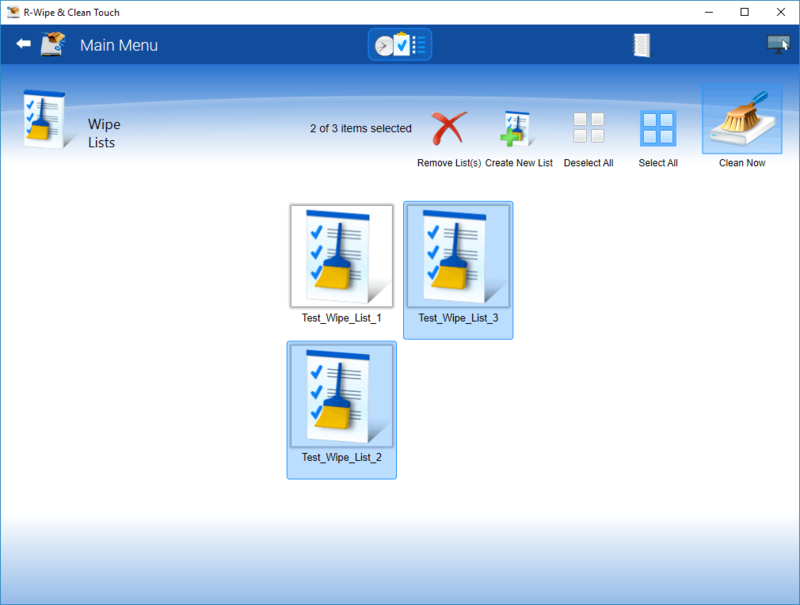 You may set a file mask for files in the folder and specify files that are not to be cleaned if they even match the file masks. 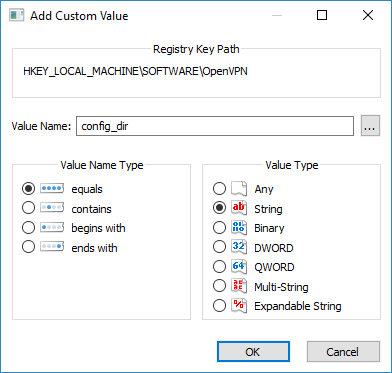 • Tap the Add Registry Key to Wipe List button on the file management buttons and select the required Registry key or separate key value on the Add Registry Key dialog box to add them to the wipe list. 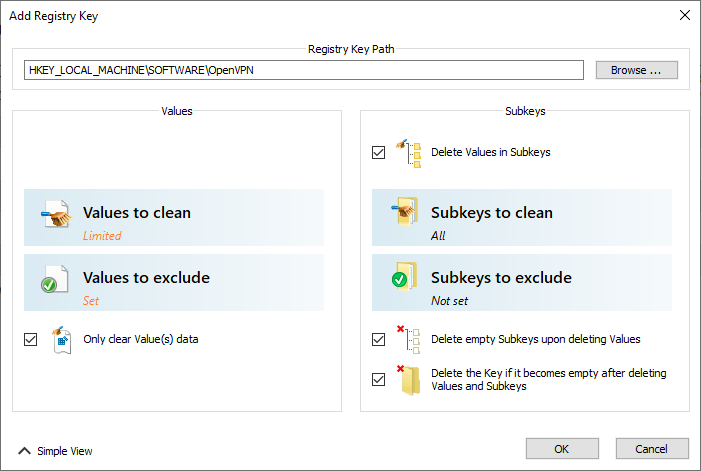 • Select a registry key or key values you want to remove and tap the Remove from Wipe List button on the file management buttons.